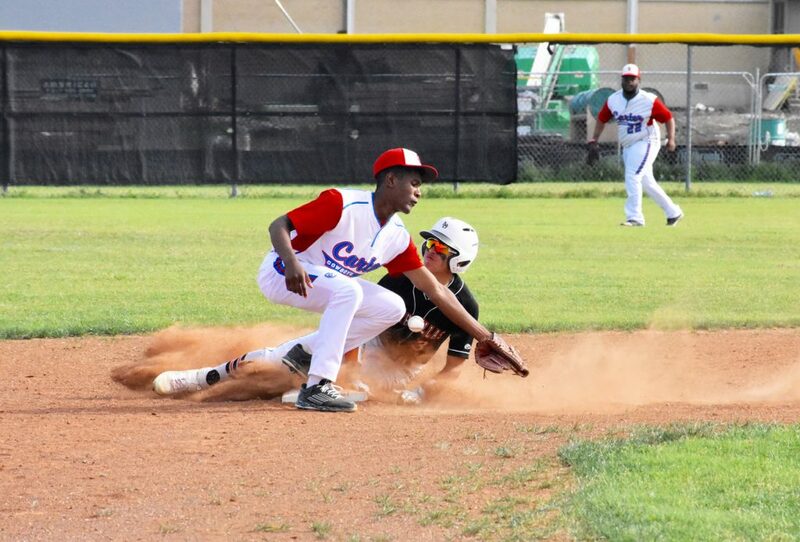 North Dallas baserunner James Camacho slides into third base as the Carter third baseman tries to reach for the ball. With dirt flying, James is called safe at third base. 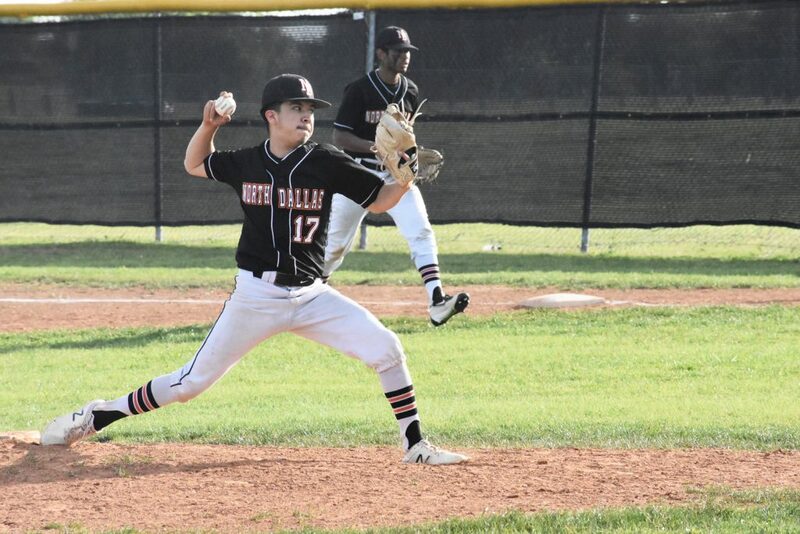 After a week off, North Dallas’ baseball team rolled to a 17-2 win in three innings over the Carter Cowboys on Friday in a district game at Carter High School. The Bulldogs (18-4 overall) remain undefeated at 8-0 in District 12-4A play and are on a 10-game winning game. 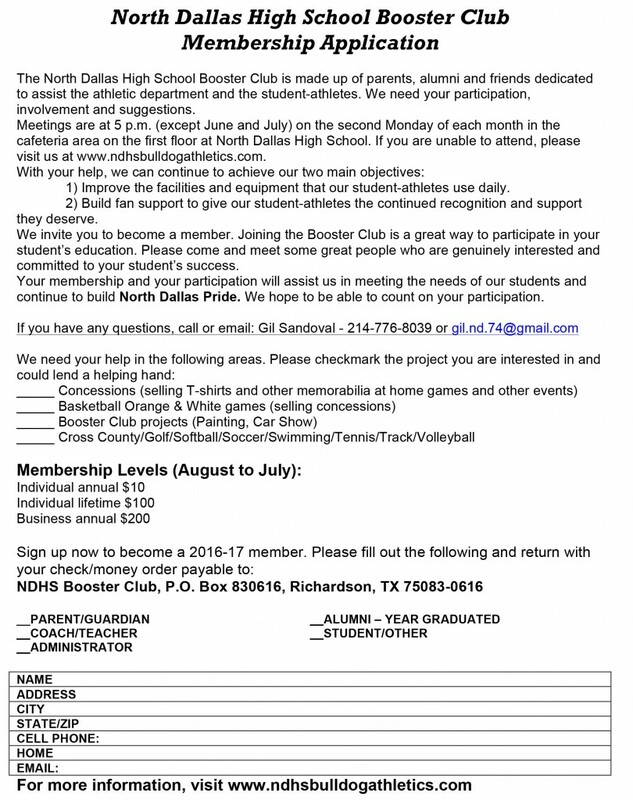 Despite the win, North Dallas coach Steven De La Cerda saw a lot of room for improvement. “We had a week off, and we’ve had great practices. 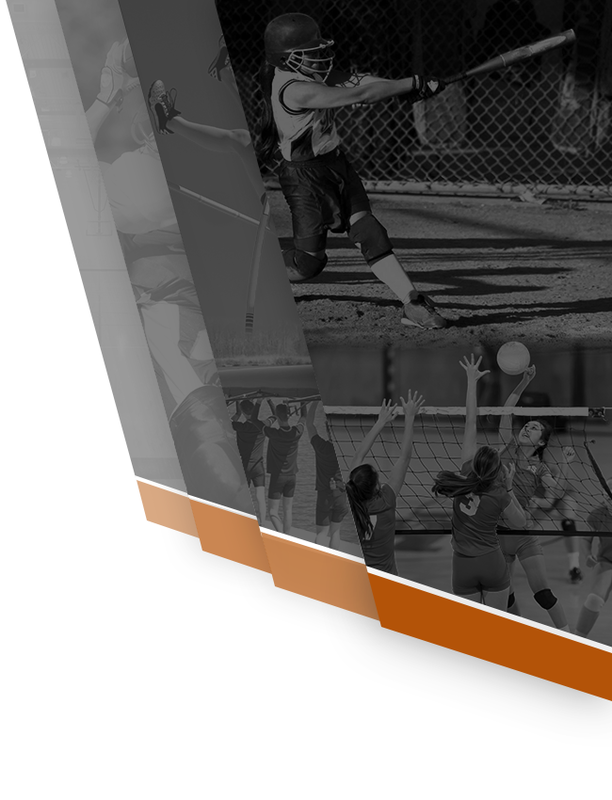 But it’s one of those days where we weren’t playing our game,” De La Cerda said. “Despite the score, we still don’t play up to our standards, and when we play the likes of Hillcrest and the playoffs, it’s going to be important that we play the game we know to play because if not … if we play like we did today, they’re going to beat us. 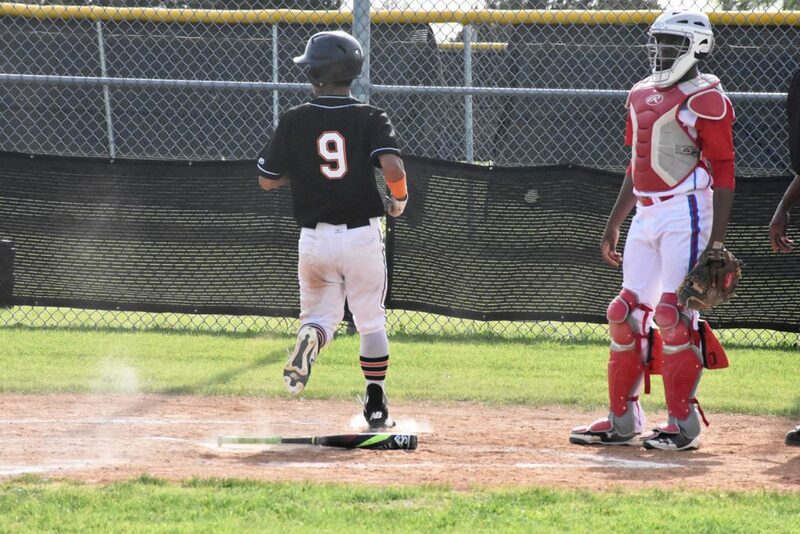 JoJo Mendoza had four runs batted in, while Noel Lopez and James Camacho each had three runs batted in against Carter. James, Noel, JoJo and Deion Medellin each had two hits. Overall, the Bulldogs had 12 hits. 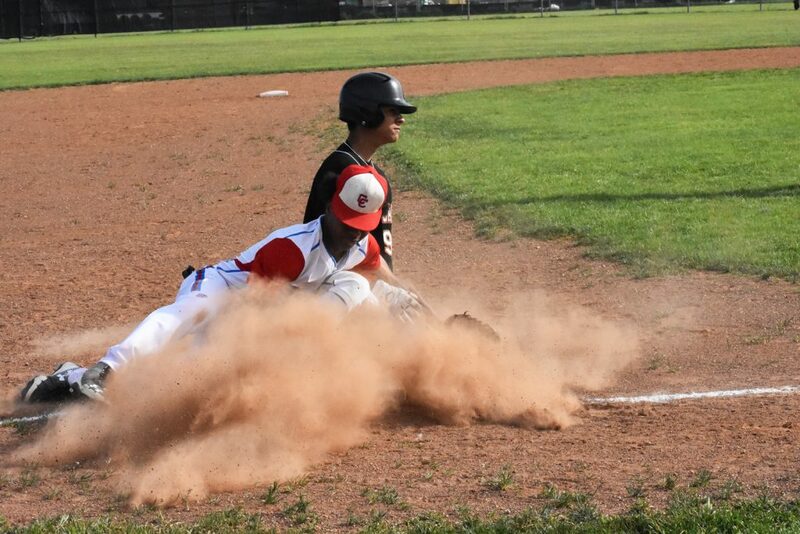 Adan Galvan went two innings for the Bulldogs and picked up the win. 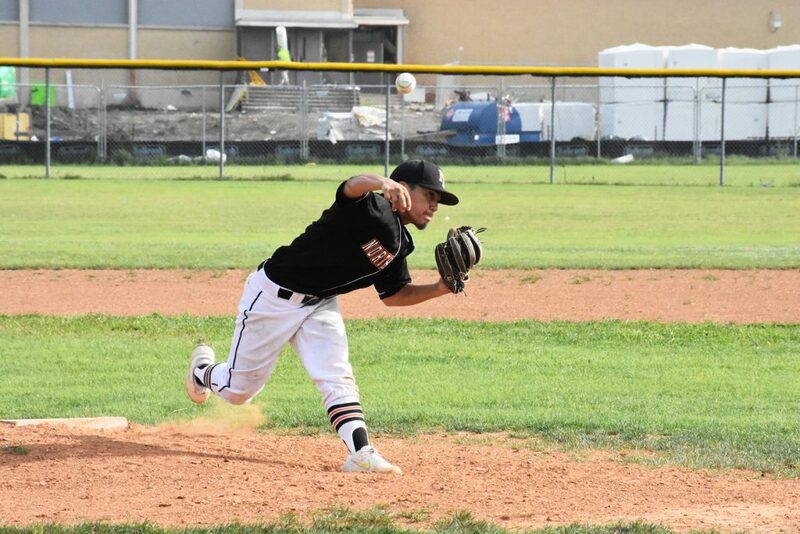 Adan Galvan pitched the first two innings, and JoJo Mendoza pitched the third inning. Jojo gave up a lead-off triple in the bottom of the third inning, and then struck out the next three batters to end the game. “Putting him in situations like that is really, really important because as we get into the playoffs, that’s the type of pressure you’re going to have,” De La Cerda said. “And it might be a 2-2 game or it might be a 3-2 game, and you got to have come in there ready to attack the zone and trust that your defense has your back. 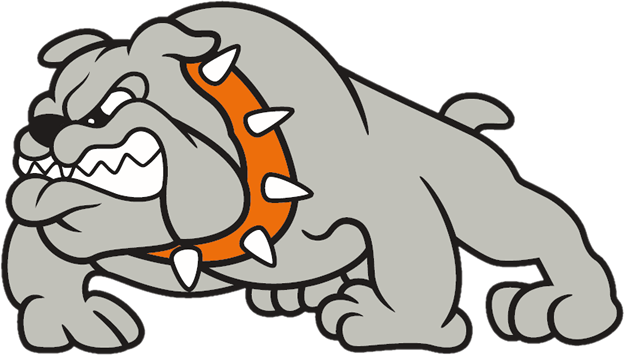 The Bulldogs are scheduled to play at Berkner at 1:30 p.m. Saturday. 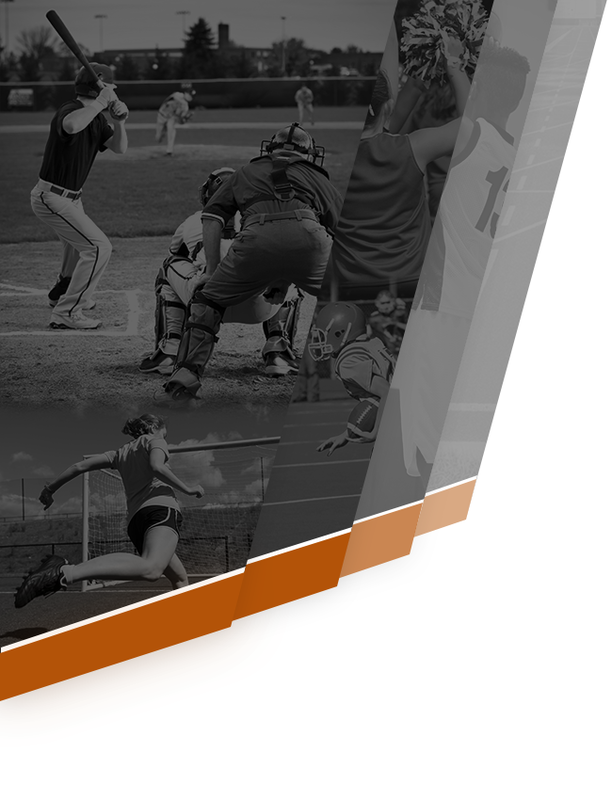 The JV game is scheduled for 11 a.m. at Berkner. 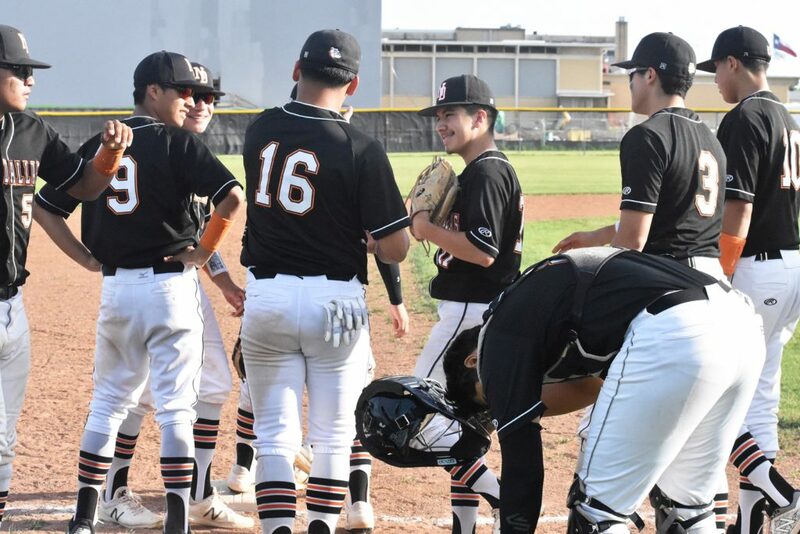 On Tuesday, North Dallas is slated to play second-place Hillcrest at 4:30 p.m. at Johnny Oates field in a district showdown. JoJo Mendoza gave up a lead-off triple and then stuck out the next three batters to end the game. The Bulldogs celebrate their 17-2 win over Carter. 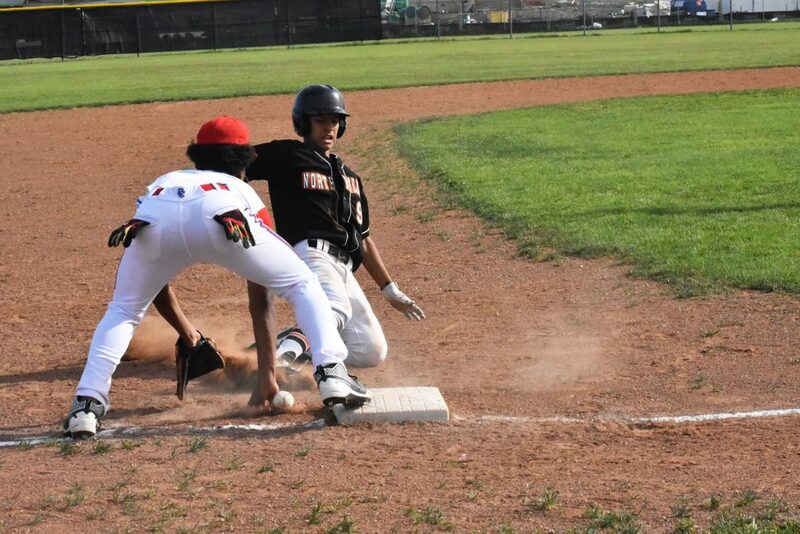 Marco Garcia slides safely into second base for a stolen base. James Camacho scores for the Bulldogs. 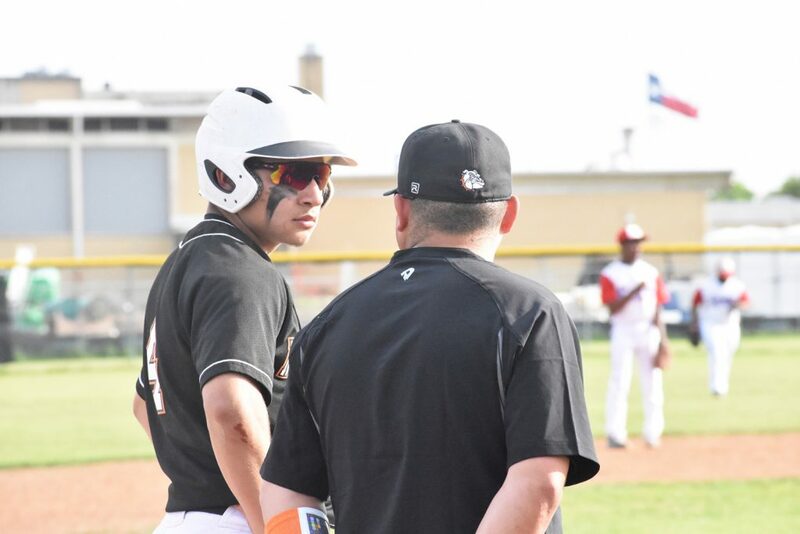 Xavien Shay talks with Coach Steven De La Cerda at third base.